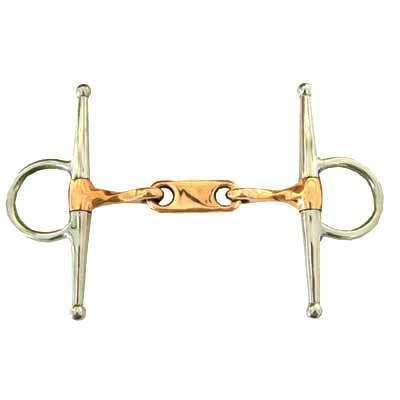 Get your horse only the best Dr. Bristol Slow Twist Copper Full Cheek Bit on the market. We know how difficult it can be to find a good deal on Full Cheek Bits made of unsurpassable craftsmanship. This Dr. Bristol Bit also gives lateral control and measures 1 3/4'' rings, 10mm mouth and 6 1/2'' cheeks. This copper in this item helps with the horses salivation. Finding the perfect Full Cheek Bit can be very hectic and time consuming. This is why we strive to offer only exceptional quality products that we believe are made of unsurpassable craftsmanship.